No, this is not going to be a piece about good girl art in the WECA books, nor about the small handful of female heroes (Nelvana, The Wing, Polka-Dot Pirate, Betty Burd etc.) that graced the pages of those Canadian Whites (though this is grist for future columns). 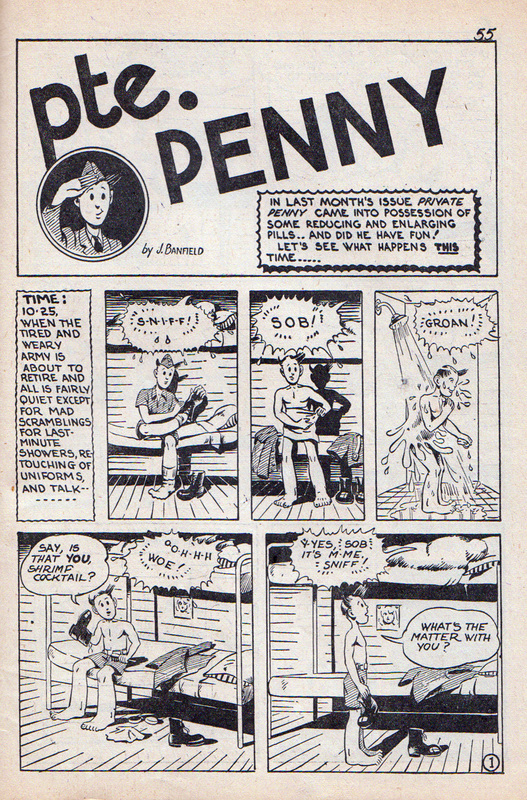 In this instance, I want to bring forward the names of the few female creators who contributed to those cream-coloured, black-and-white newsprint pages of the Canadian war-time comics. The first two I want to mention are the team of Patricia Joudry and Doris Slater from Bell Features, who produced the feature “Penny’s Diary” in Active Comics 19 (Oct./Nov. 1944?) to 26 (Jan./Feb. 1946?). Patricia Mae Joudry was born in Spirit River, Alberta on Oct. 18, 1921. When she was four, the family moved to Toronto and by the time she was nine they had permanently settled in an English speaking residential area of Montreal called Notre Dame de Grace (See the unpublished doctoral dissertation of Aviva Ravel entitled The Dramatic World of Patricia Joudry out of McGill University, June 1984). She wrote and starred in a radio series entitled “Penny’s Diary” that ran on CFC radio from 1941-42 and then moved to CBC radio from 1942-44. 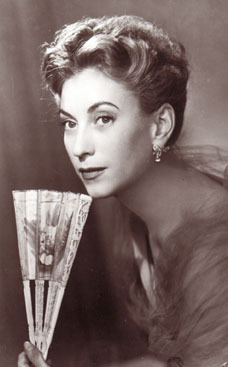 She went on to have a successful career as an international playwright and novelist. She died in Powell River, BC on Oct. 28, 2000. 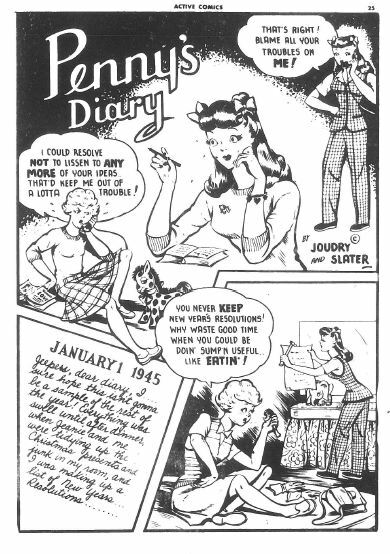 What is significant for us is that Patricia Joudry brought her successful “Penny’s Diary” radio show to Bell Features in late 1944 and to “visual life” with the help of Doris Slater. Each story begins with a diary entry by Penny and discussion with her best girlfriend Jeanie. Stories deal with the romantic angst of the typical teenage girl of the forties. The story in Active Comics 20 is particularly helpful to us in dating these Bell issues (which are notorious for not supplying date information in their indica) because the diary entry is dated “Jan. 1, 1945). 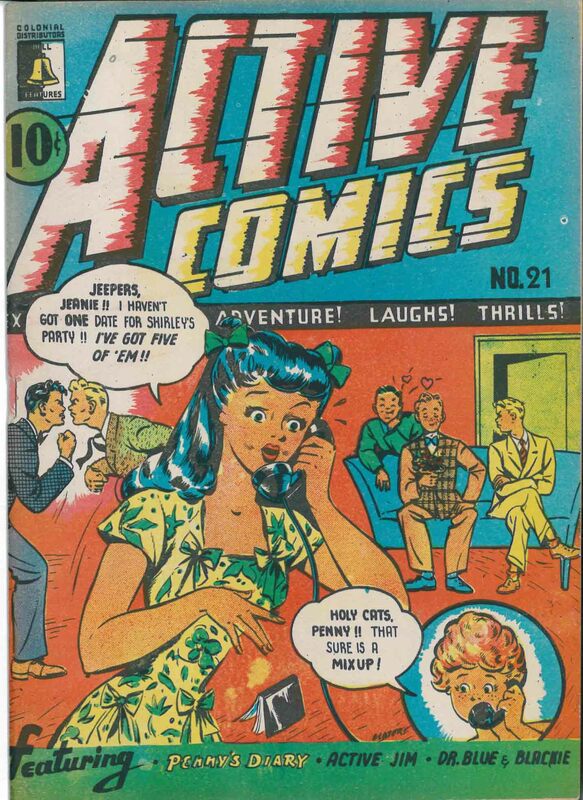 “Penny’s Diary,” with the added support of the radio show, must have been a popular feature because it earned a cover (one of the only two WECA covers drawn by a female artist) by its third appearance in Active Comics 21. Doris Slater went on to do illustration work for the Canadian Home Journal in the later forties. This is echoed over at Maple Leaf Publications with Ley Fortune who chose not (or was advised not) to use her full name Shirley Fortune on her two strips “Circus Girl” which appeared in Lucky Comics and “Mono the Air Cobra” which appeared in Rocket Comics. 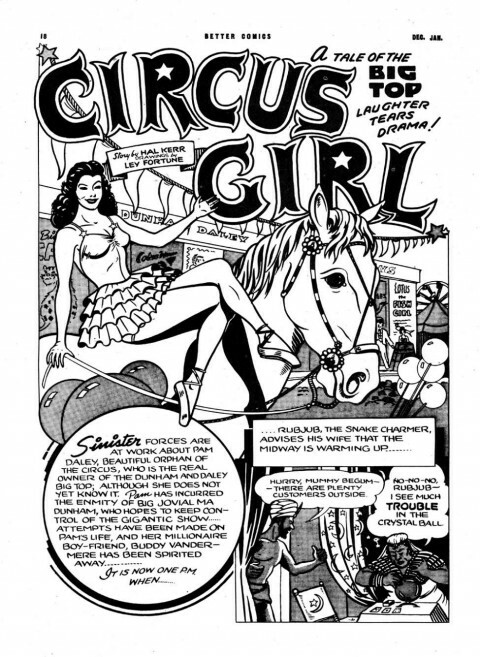 “Circus Girl” involved the “film noir” adventures in crime and romance of Pam Daley, orphan circus performer. 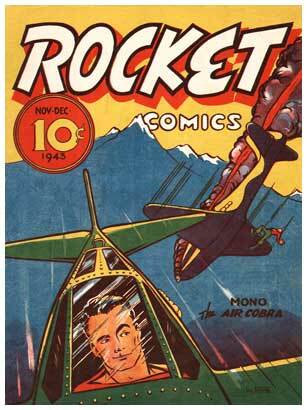 Mono the Air Cobra was a crime fighting aircraft pilot with a large “M” on his costume and a stiff, disproportional neck that has perhaps become an unintentional trademark of this character. 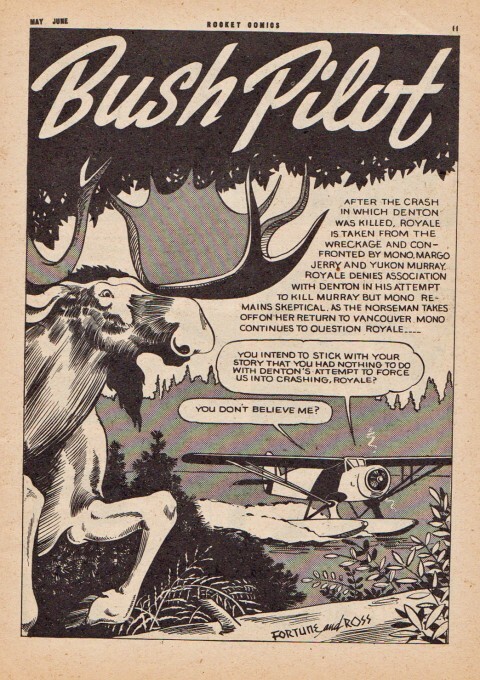 Ley Fortune’s art matured in her later work as for example in her work on the strip “Bush Pilot” in Rocket Comics Vol. 5 No. 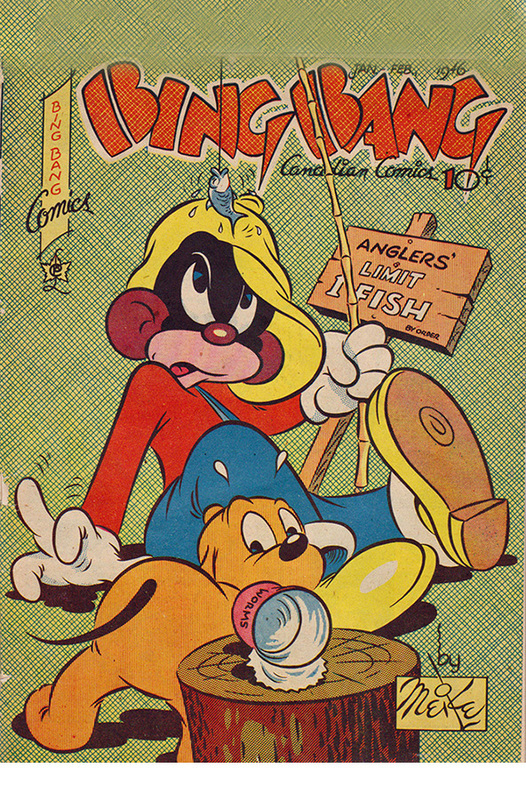 10 from May-June 1946. Ley Fortune gave us a second WECA cover drawn by a female artist with Rocket Comics Vol. 2 No. 5 from Nov.-Dec. 1943. Golden Arrow Mighty Midget Comics (Canadian) p. 23 – June Banfield art. 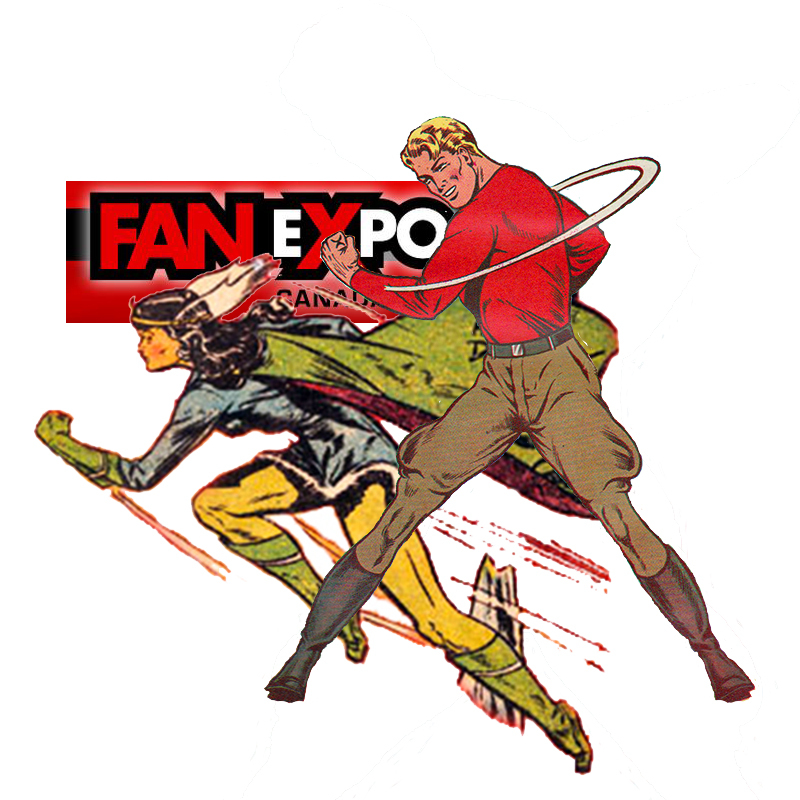 Over at Anglo-American, I know little about June Banfield who created and drew the “Pvt. Penny” strip in Grand Slam Comics and did the redraws for some of the Golden Arrow strips in Whiz Comics and in the Canadian version of the Golden Arrow Mighty Midget Comic. 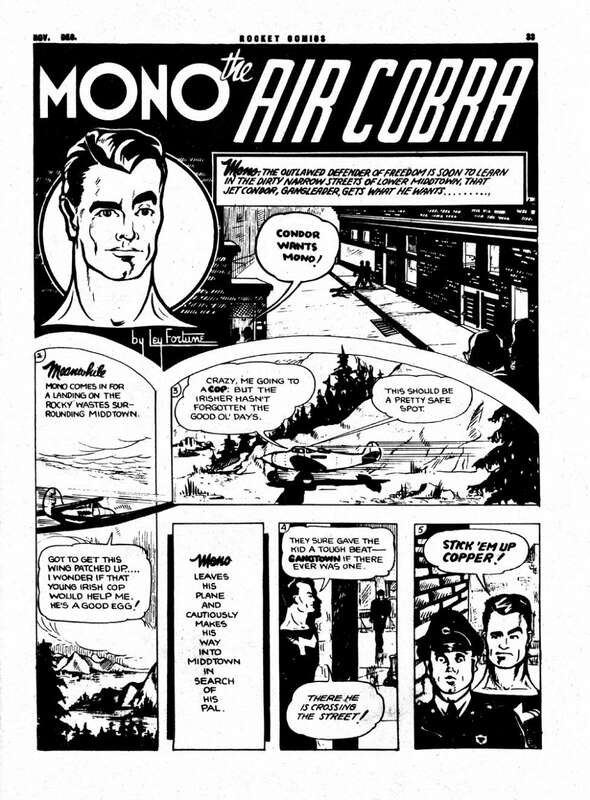 Robert Campbell in his article on Anglo-American Comics, “The War Years: Anglo-American Ltd.” (John Bell, Canuck Comics, Matrix Books, Montreal, 1986 pp. 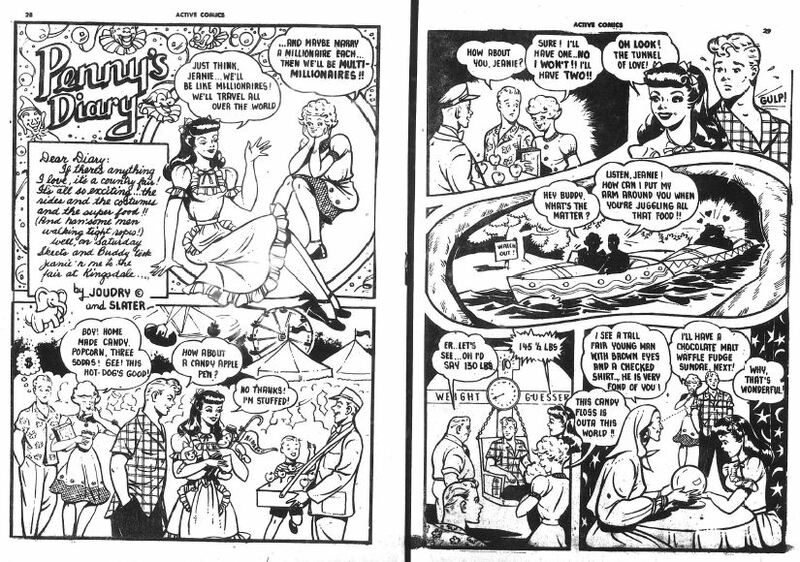 93-101) on p. 97 mentions that Betty Mercer was responsible for much of the lettering in those “Double A” and that Priscilla Hutchings began drawing female figures for “AA’s” assembly line process. He also mentions that June Banfield and Priscilla Hutchings, after a while, became skilled enough to take over most of the art on the Freelance strip. These women must be recognized for what they did in a male-dominated profession within a decidedly patriarchal society. More must be uncovered about them and perhaps one or two others that we have missed. May I point out a slip of the keyboard, and say that the author of Anglo-American article you mention was Robert MacMillan, not Campbell. I figure that you must have been having soup when writing this entry. To add another publisher to your listed Canadian women in the comics, Educational Projects Inc. had one also with a Dorthy McGrath in one of their credits. Thanks again Jim. Sometimes my sloppiness is embarrassing. I think of a topic I’d like to do on Tuesday or Wednesday and invariably scramble up the piece in the early hours of Thursday morning which is the day that Scott approves the piece for publishing. I have no idea why I wrote Campbell instead of MacMillan (my apologies to you Bob). Thanks also for this piece of information about Dorothy McGrath which is new to me. I’ve just also remembered that Edmond Good’s first wife, Audrey, is credited (as Audre) with co-writing with him the text stories that appear in Wow Comics 6, Triumph Comics 14, and Dime Comics 4. 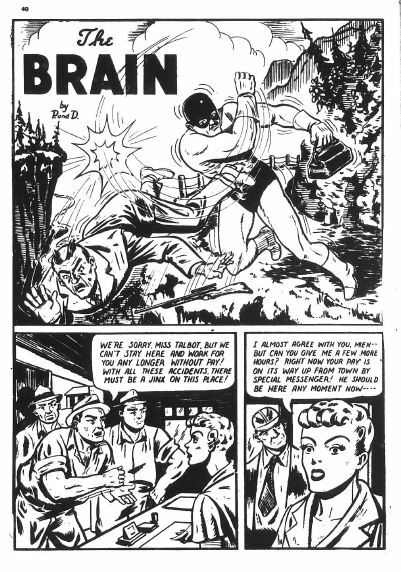 Though the art is definitely Slater, I suspect the Brain story signed “P and D” was more likely written by a different “P”, as opposed to Pat Joudry. (It could even have been Adrian Dingle’s wife, Pat, who wrote the early Triumph script “Clue Catchers” for her husband to draw.) 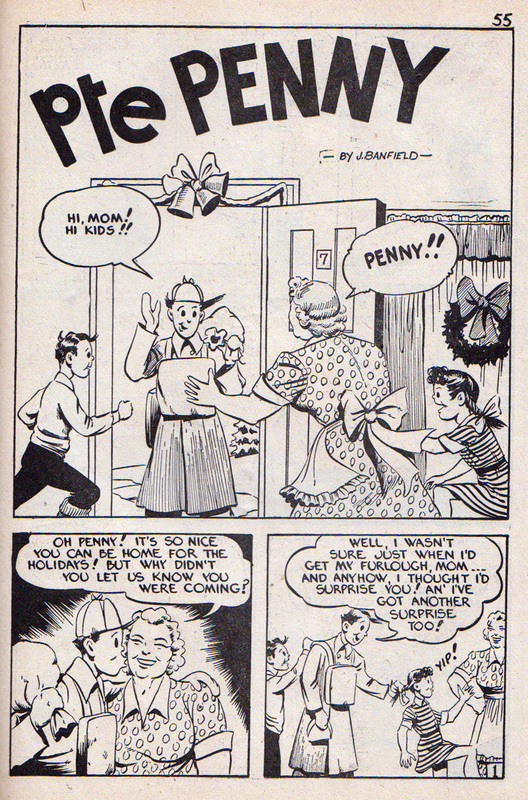 Joudry was heavily involved in in her radio writing and the Penny’s Diary comics were more likely “adapted” by Slater. She was a talented writer who wrote her own strips for Anglo. 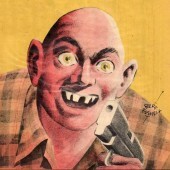 Bob Macmillan has done some research with the family and feels Slater had enough of a connection with Joudry to get permission to do the strip. But he also points out that Joudry never mentions the comic in any of her later writings nor in her personal memoirs. So I tend to agree with Bob’s theory that Slater could have adapted the strip herself. 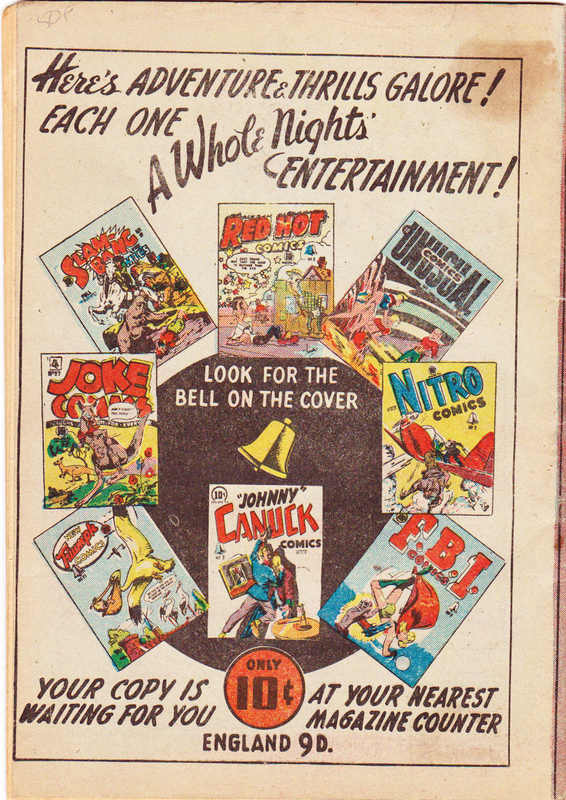 Florence Emily Skinner of Toronto, Ontario produced Carousel Comics which was registered in September 1945 (Magazine Distributor’s and Sales Ltd.) and again in Feb 1948 (Real Boy’s Magazine Company). Whether this comic book actually saw print is anybody’s guess. Thanks for your insight into this Rob. After talking about this with Robert MacMillan I have to agree, he feels that Joudry was such a successful playwright at this time that it seems unlikely she would have been involved in writing the stories for the comic. 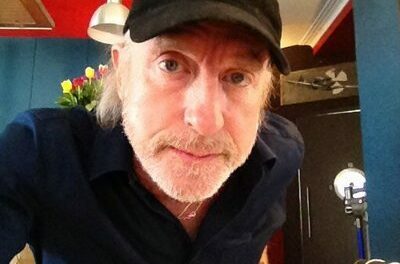 Robert thinks that the two probably shared a rooming house together or just around this time and that Dorothy asked permission of Joudry to adapt her radio show to the comic medium. This has to be what happened. I also have some photos of Doris Slater Titus if someone can tell me how to put them on! Patricia, I’m so glad to hear from you. I’ll be in touch today and thanks for replying to my post. This is the way I’ve gotten in touch with so many of the descendants of these great artists. Betty Mercer is my grandmother and she is still alive and kicking at 93 years old. “Betty” is not her real name, which is why people have probably had no luck in finding her. Growing up, she often told me stories about her time with AA. Now I need to find this book. I will also mention that my grandmother did not just do lettering. She and Priscilla Hutchings both did the art. Not only did they work together on the titles mentioned, but they did redraws of American comics, most notably Captain Marvel. If anyone is interested in what I know about all of this, feel free to drop me an e-mail at billyneill3 at gmail dot com. Billy: These kind of replies are what makes this column worthwhile for me. I’ll send you an email and hope I can find out more about your grandmother and her background in Canadian comics and what she did since. I wonder if your grandmother knew Doris Slater as well as Priscilla Hutchings.